Small Business Minister Margot James has welcomed a positive relationship change between supermarkets and their suppliers, as she publishes the first Statutory Review of the Groceries Code Adjudicator (GCA) today. The review, which considered independent findings from YouGov alongside responses from trade associations, supermarkets and suppliers, found that the GCA, Christine Tacon CBE, has been effective in exercising her powers and enforcing the Groceries Code. Suppliers reported a positive change in their relationship with large retailers, as well as a major reduction in unfair trading practices. The number of suppliers who complained about being charged to remain on supermarkets’ supplier lists fell from 30% to 9% between 2014 and 2016, while problems with incorrect deductions from invoices fell from 47% to 30% over the same period. A number of respondents praised Ms Tacon personally, with one citing her “wealth of knowledge and skills”. Another commented that she “holds an in-depth knowledge of the sector that is hugely beneficial. “This review highlights the excellent work of the Groceries Code Adjudicator over the past three years. It is vital that Government and the GCA continue working together to prevent unfair treatment of smaller suppliers. 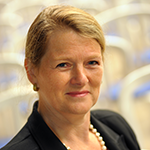 Established in 2013, the Groceries Code Adjudicator, Christine Tacon, is the UK’s first adjudicator of the groceries industry, overseeing the relationship between the 10 largest supermarket chains and their suppliers. In June 2017 Ms Tacon was reappointed for a second term in the role, in which she is responsible for ensuring large supermarkets treat their direct suppliers fairly and lawfully.